Printing Inks: cyan, magenta, and yellow. 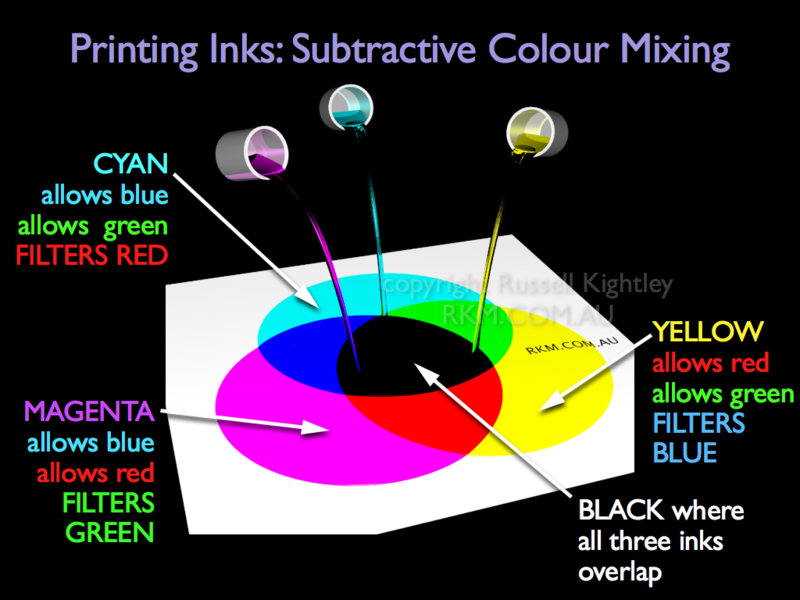 Printing inks use subtractive colour mixing (lights use additive colour mixing). This simulation shows three printing inks pouring onto a sheet of paper. The filtering effect of each one of these inks creates all the colours necessary for colour printing. In real four colour printing the inks are applied as screens (tiny dots that vary in size to carry the image information). Black ink is also used to enhance contrast and give an outline to the colours. BUY THIS ANIMATION of subtractive colour mixing! created using the brilliant Cheetah3D software.